Special note for this act before we begin: assuming you follow this walkthrough you won't have any issues, but if you don't you may come across Evil Tomes before the guide gets to that quest. These are involved in a quest and MUST be destroyed in order to finish the quest (at least, to finish it with the outcome we need for an achievement). So if you do wander off the walkthrough's path (not that I recommend it) make sure you destroy any you happen across. After all the scenes you regain control go to the Hanged Man. Talk to Isabela, and choose "Are you sure?" (middle right). An achievement will pop while Isabela is talking. For the second option choose "I'll do it for a kiss" (bottom left?) for another achievement. So, now we have the 4 friends achievement. Your party from now on is your own to choose, with a couple caveats. As I mentioned early on, romancing Isabela ensures she sticks around for quests we need later, so for this walkthrough I'm keeping her in the party, and the only dialog options I will tell you to choose are ones that avoid her getting rivalry/allow romancing her (unless choices are needed for quests and stuff). Note if you have the Exiled Prince DLC you need to max friendship/rivalry with Sebastian, so I will point out those choices. A few companions (like Anders) need a certain amount of friendship/rivalry to do things, so being friendly with everyone would be nice, but not strictly necessary. If you gave Anders Heroic Aura and Haste I'd take him, along with Fenris for the other two party members. If you have the DLC, go to the chantry and starts the second quest, it'll end with you having him in your party. Be sure to read its section on the DLC page to make sure you do everything correctly. In Hightown, go to the marker that denotes Hawk's Estate. Inside you'll find an enchanted apparatus next to Sandal. Use it and attach a rune to something, either a weapon or armor. If you have no runes, shops in Lowtown and Hightown have them. You'll get this once you leave the enchantment menu. The mage shop next to Solivitus in the gallows has a backpack upgrade and an armor upgrade for Anders. In the docks, in the far west area is a merchant who sells an armor upgrade for Fenris and Varric. The Apparel shop in Lowtown has an upgrade for Isabela and finally, Anders has an armor upgrade in Lirene's Fereldan Imports in Lowtown. Once you have all that go to the Hanged Man again and talk to Isabela. Pick top right and then "Just all right" (middle right) and then top right again. Return to the Hawke estate. You should get a scene with Isabela. Choose top right and then "There's excitement right here" (bottom left) followed by "Come with me" (top right). After the scene choose top right and then "Why not?" (top right). Top right again. Now investigate and pick all three options. The bottom left one presents a chance to flirt again "You're afraid of being loved" (top right). After this Isabela's outfit should change. There is a bug that might stop it from happening, though. From here go to the shop Robes from Jean Luc and buy Isabela's armor upgrade, if her outfit didn't change previously, it should now. If it does, it means you've successfully started a romance with Isabela, although the achievement doesn't unlock for a while. Now go to Fenris' mansion. Answer top right, top right, "You're my friend" (top right). Immediately talk to him again. Top right all the way through. Afterward switch Isabela out for Aveline, and then go to some place on the world map, you'll be ambushed. Answer "He's not a slave!" (top right). After killing them, choose "We go after them" (top right). 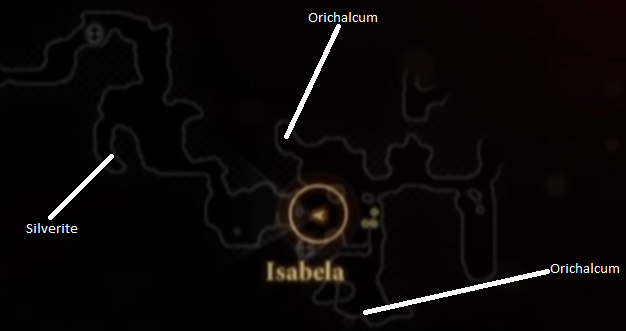 Leave and replace Isabela and enter the Holding Caves...which don't look much like caves...at the start take the path on the right, you'll find Embrium (2/6) on your left. Continue forward and kill everything, then go down the path that leads to the entrance (not the one on the right you took, the one that would have been the left path) to find Glitterdust (2/6). Now go to the abandoned slaver den. On your way to the marker you will encounter a woman being attacked, save her. Answer "I'm sorry" (top right). Answer "Come work for me" (middle right) and then "I will pay her" (top right). Go to the room west of her to find an armor upgrade for Fenris in a chest. Now continue to the marker. Kill Hadriana. The easiest way to do this is to kill everything she spawns before attacking her, as she is quite durable. You'll get ripped limb from limb if you try to kill her while everything she summons is attacking you. Afterward pick "It's up to you Fenris" (top left). Then choose top right both times. Go to your estate for a scene, top right all the way through. Go to Ander's clinic, talk to him, top right all the way through. When you exit you'll notice some Deathroot (4/6) on the ground to your left after going down some stairs, before you go up the stairs. 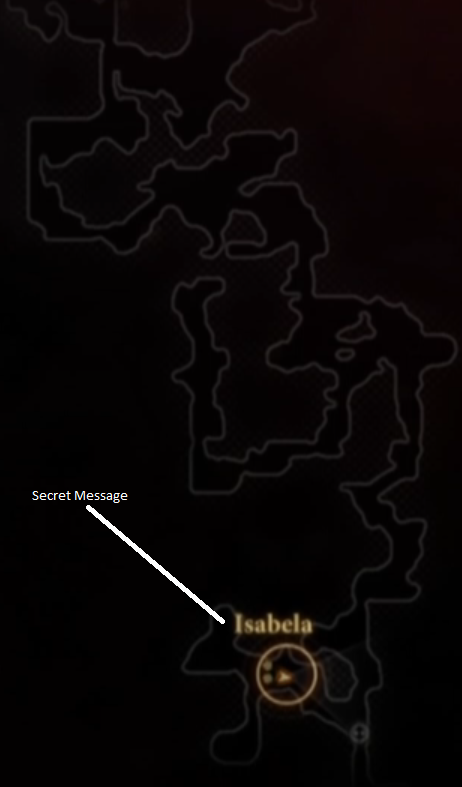 In the southwest corner of the map near the exit is a Secret Message (1/3 for Act 2), get it now. Go to Lowtown during the day. 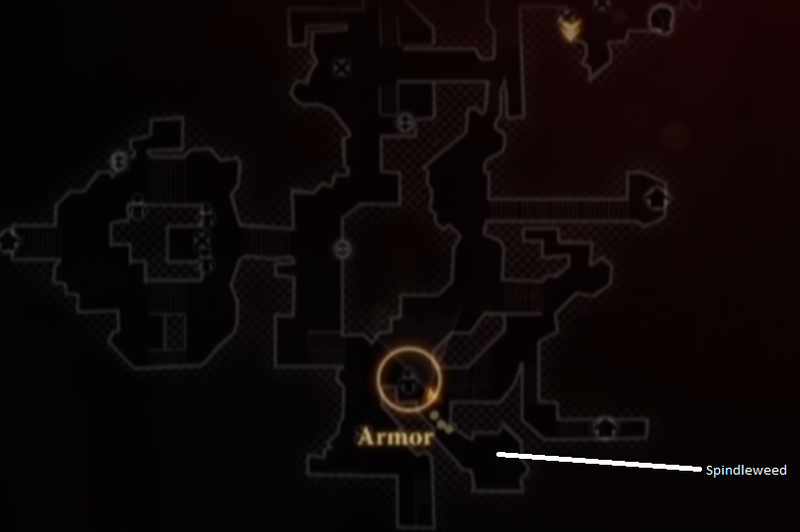 If you look at the map, in the southern part of the map, you'll see a shop (if you highlight the icon, it is merely called "armor"). Southeast of it (not the path that leads to an exit) is a path with a Spindleweed (4/6) at the end. Go to the chantry. Go to where the history of Kirkwall was in act 1 (go forward, right up the stairs, then two more rights) and read the book on the table by the fireplace for a Secret Message (2/3 for Act 2). 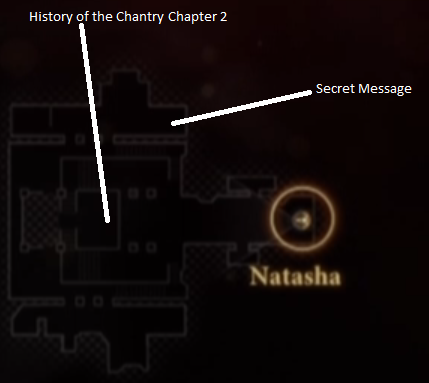 Also, go to where Sebastian and the Grand Cleric were for the Repentance quest and read the History of the Chantry Chapter 2 (2/4) nearby (if you don't have the DLC it's in the middle of the building on a raised platform. Go to the docks. Go up the stairs on the left and enter the Quanari Compound. Go up the stairs then U-turn left and you'll see a Secret Message (3/3 for Act 2) on the ground. Now go to the gallows. Talk to Solivitus and pick up the quest of his for this act. Use the shop next to him and buy the Life Ward Potion. Now go to Lowtown at night. Next to the entrance to Gamlen's house is some debris with the Rock Skin Potion Recipe. Now go to Merril's house at night, exit and choose Lowtown at night. You should be in the alienage. Go to the stairs and then look to the right, should be a sack with a book called "A Slave's Life”. Go to Fenris' mansion and talk to him. Pick top right, then middle right. Now go to Viscount Keep and talk to Aveline. Top right both times. Now go to the Hanged Man and talk to Varric, top right both times. Now go to the chantry. Instead of right, go forward and then left up the stairs, then left again to find an evil tome on a desk. Choose to destroy it (top right) in the dialog that appears when you use it with A. Kill what spawns. Go to Viscount Keep. Go straight until you reach the room with the throne, immediately turn left and this book will be on a bench. Destroy it and kill everything. Around now you should be hitting level 14, which means you can use your last specialization point to unlock an achievement. If you don't have the DLC you should be a little into level 13 by now. Now go to the Bone Pit. On the right not too far in will be some Deathroot (5/6). Go south and then all the way east, and go north at the fork. 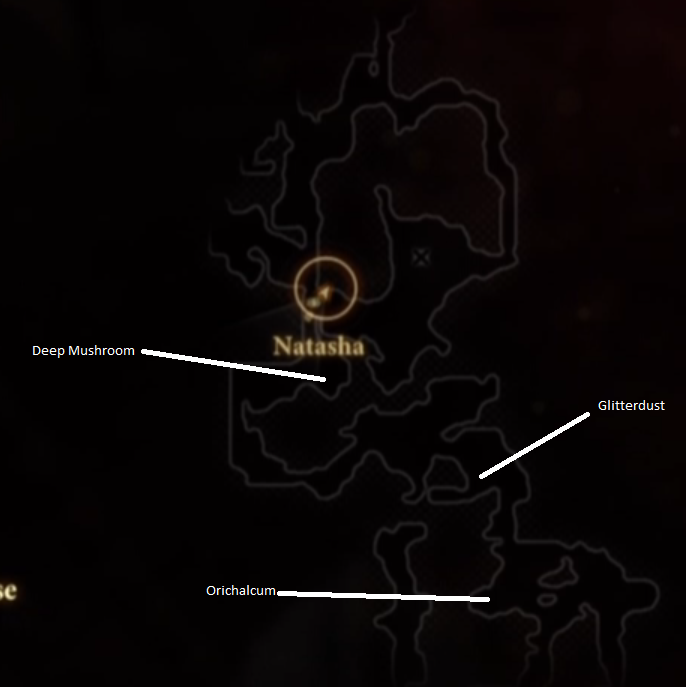 Go straight north into an area with Glitterdust (3/6). From here backtrack to the second fork and follow the path to a Cave, enter. On the left will be some Lyrium (6/9), and behind it in a little alcove is another evil tome, destroy it and kill everything. Leave. Now go to the Wounded Coast. Go left and follow the path (taking the right path at the fork) until you fight raiders, past them on the left will be some Elfroot (7/9). Keep following the path until the next fork, go south. Right before you run into some soldiers some Embrium (3/6) will be on the left. Since we are here, walk up to the soldiers and talk to them. Top right all the way through and then kill everything. Fell Orden is a mage, so make sure to focus him down first; the rest are just typical peons. Make sure to loot Fell Orden, he has an item for a fetch quest, Swatch of the Jackyard. Now backtrack to the three way fork, and go left (west). Go north at the next fork, then continue following it north until you reach a northwest/northeast fork and go northeast. 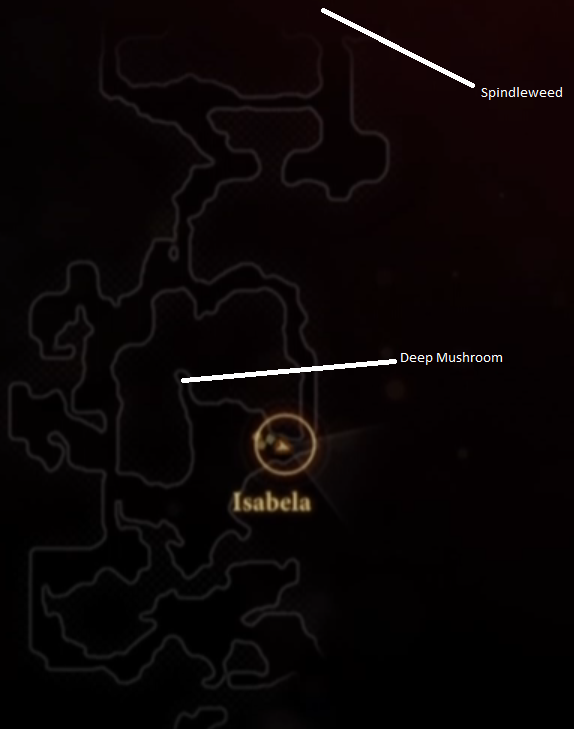 In the northeast section of this area is a Harlot's Blush Flower we need for a quest. West of the flower in a dead end is a shop, the guys sells a staff called “cold-blooded”. While the price is obnoxious if you can't find any staves with cold damage this is an alternative. It's not a bad staff, it just costs so much, but we will worry about it later on, we don't need it until act 3 anyway. 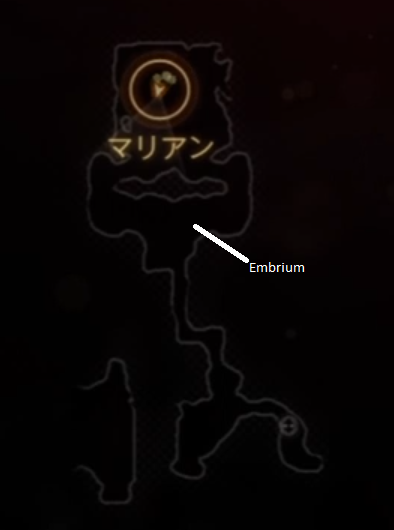 For now return to the entrance, go right at the first fork, left at the next, and then right at the next one to find Embrium (4/6). Continue following this path to an area with the Dank Cave. In here follow the path to a big room, right as you enter some Lyrium (7/9) is on the right. At the other end of the room is another evil tome, destroy it and kill everything. Now go to Sundermount. Go to the camp and then west to the exit, you'll find a new cave nearby, enter it. At the first fork go north and be warned that in the next room, past the golem, you'll face a golem, rage demon, and revnant at the same time when you search the body by the east door. Ensure Fenris and Hawke are taunting or otherwise distracting the big three and concentrate on killing them first. An alternative is pulling your party back so they all funnel into the hallway and facing them that way. Exit east and you'll come across Gerralt's body, pick it up for a fetch quest. I'd suggest saving before going in the next room. Inside you'll face 5-6 waves of enemies, with rage demons, desire demons, revnants and other miscellaneous undead. Pulling back to the hallway is a good idea here, but you can stand and fight them if you'd like. In between waves your health may not refill, so keep an eye on everyone's health. Afterward destroy the Evil Tome and then leave through the eastern exit. This next area is fairly dangerous, so it would not be a bad idea to stock up on healing potions, most shops sell them. I would also suggest having Anders in your party if he isn't already. If you have the skill points, panacea and aid allies in the vengeance tree are great skills to have. When you are ready go to Darktown. The Evil Pits will be just ahead on the left (gold marker) go inside. Follow the path to the marker; I'd save before going in. Go in, read the book (yes you can read this one) and then the fight begins. Xebenkeck is the boss here and you should concentrate on her first, as she can heal everyone else. In truth, she isn't particularly sturdy, but some powerful undead spawn with her and can tear you apart. If you find you are getting overwhelmed turn your attention to the smaller enemies and after you've killed some of them start attacking Xebenkeck again. After she is dead all that is left is the demons she spawned, moving back into a hallway may be ideal. Between Anders' healing and health potions it shouldn't be hard to win the fight without anyone going down, but remember we already have the achievement so there's no loss in someone going down, as uncaring as that seems. You'll get an achievement when you've killed everything. Now go to the gallows and talk to Emeric and accept the quest. While we are here turn in the flower we got to Solivitus. Now go to Hightown at night. Go to the DuPuis estate (south of where you enter). You can pretty much only go east, so do so and reach the marker. Top right for first two dialog choices and then bottom right. Kill everything and then chase him (marker shows you where he is). After following him 3 or so times, the marker will disappear. His body will be nearby, loot it and leave. Go back to the gallows and talk to Moira. Now leave and go to the blind alley at night. Go forward and kill everything that spawns. Quite a few enemies show up, so keep an eye on your back line to make sure reinforcements don't overrun them. After you've killed them you'll get a scene and you'll be done. Let's turn some stuff in. Go to Viscount Keep and turn in Raiders in the Cliffs. Go to the docks and give the ship spotter the swatch. Go to Lowtown and give the gerralt body to gerralt. Now go to your estate and read the letter, then go to Hightown and talk to Hubert. Top right all the way through, then you'll be somewhere else and fighting, kill everything. Afterward go to Darktown at night and you'll get a scene. Afterward south and a bit east is the marker for the next objective. Enter and then follow the path to the end, kill everything and then leave. Return to Hubert. Now go to the Bone Pit and talk to Jansen. After the scene check the sack nearby (a bit north of Jansen) for a Sixth Finger if you didn't get it already, then go in the mines. You'll immediately run into a bunch of spiders, kill them all. 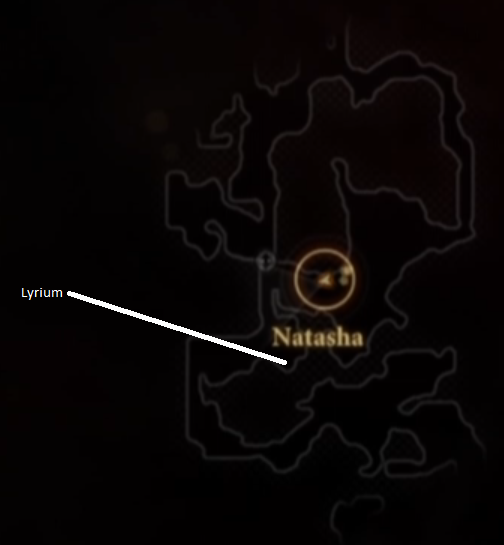 Up the stairs in front of the entrance and a bit to the right is some Lyrium (8/9), get it. Then you can leave. Talk to Jansen to end the quest. He has another one but sadly we have to go to somewhere else (like your estate) and then return for the quest to appear. After talking to him go to the new marker and go inside. Either north or east will take you to the room, once there you'll find an arcane horror and a revnant. By now you know the drill, wipe them both out and then kill everything else. Leave, turn in the quest, go to the estate, come back and talk to Jansen. Now go to Lowtown and talk to the smith. Pick top right and then middle right. We actually don't need to go back to Jansen to finish this quest so we are done with the quest line. Now go to the docks. Go to the Quanari compound and talk to the Arishok. Put Isabela back in your party. Now go to Darktown. Go to the marker east of you and talk to the merchant. East and then south you'll find Smuggler's Cut, go inside. You should unlock an achievement now, for visiting ten caves. Follow the path (keep going north basically) until you go up some stairs and find a lone archer. Kill him and then in the next room with some more enemies will be some Silverite (5/6). A bit forward, just past some stairs will be a chest with a ship for Isabela in it. Make sure to get it, ladies love gifts. Instead of going up those stairs instead go south. 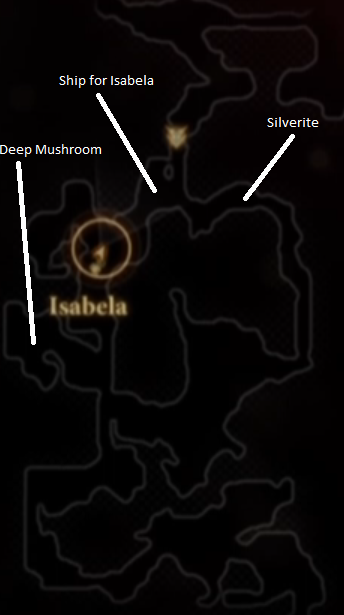 Keep going south and you'll find a Deep Mushroom (6/9) on the left right before an alcove with a chest. Now go to the marker. Outside, kill everything and then top right all the way through. 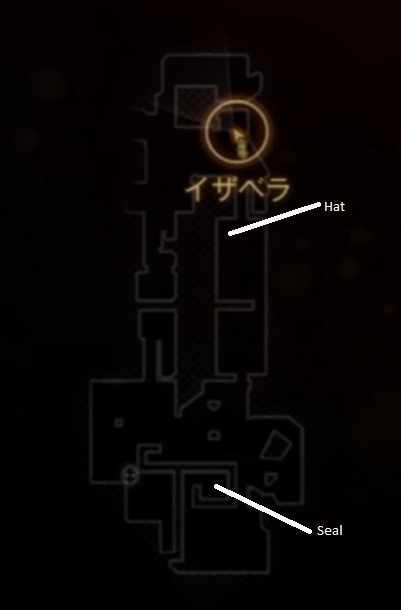 Now go to the "side alley" on the town map. After the scene you'll be in the middle of a poison cloud, yay! Straight ahead should be a steel latch on the ground, grab it and use it on the gas barrel nearby. Enemies will attack, and after they are all dead one should have another steel latch, take it and close another gas barrel. Repeat until all barrels are closed, then you'll have to fight a few more waves and you'll be done. Return to the docks and talk to the Arishok again. Top right all the way through as usual. Now go to Viscount Keep and talk to the viscount. DO NOT TALK TO BRAN. Immediately return to the Arishok. Top right all the way through. Put Isabela back in your party and replace Anders with Sebastian if you haven't already, there's some friendship to be had in this next quest (keep Anders if you don't have the DLC). Now go to Bran in Viscount Keep and talk to him. Next go to the Hanged Man at night. Since we are here, might as well give Isabela the ship. Talk to her and choose "The best thing is below deck" (bottom left). Then talk to Orwald nearby. Top right, kill everything, top right. Now head over to the Chantry. After the scene (top right of course) go up the stairs in the back and talk to Elthina. Choose investigate and then "Someone used your seal" (top left). Now remove Sebastian from your party (there is a horn before the entrance) and then talk to him near the Elthina. Top right for both choices. Put Sebastian back in your party. Now go to Varnells' Refuge. Go forward until you get a scene. At the end of it choose "Varnell and the others die" (top right). You will fight an incredible number of enemies here, keep an eye on everyone and be sure to kill Varnell quickly. Don't be afraid to use health potions either. After the fight answer "Do not hide it. he'll know" (bottom right). Now go back to the Arishok in the docks. Top right throughout, and you'll have yourself an achievement. Now go to your estate. Top right through the scene then go to Lowtown at night. Not far from the entrance on the right will be an urchin, talk to him. Pick "Coin" (top right). Follow the trail of blood (or just go to the foundry) and enter. Follow the blood to a trap door, enter it. Follow the path and keep an eye out, in the first narrow passage some Orichalcum (2/6) will be in front of you on the left. Continue forward. After the conversation you'll face 4-5 waves of enemies, no revnants or golems or anything, so it's not too hard. After killing everything top right in the scenes, in the scene with Gamlen answer top right twice and then "Magic's not to blame" (bottom right). Assuming you've done everything right up until now, the next scene should have Isabela showing up to cheer you up (top right in the dialog). Check your letters. You'll have one from the viscount asking you to come visit about a quest. This quest starts the beginning of the end of act 2, and as a result you should avoid it until I mention it, we still have quite a bit to do before we can move on. Now we have a few side quests to mop up, but mostly just companion quests and then we can move on to act 3. If you want to keep max friendship with Varric you'll want Anders AND Sebastian in your party, but it is no longer necessary. Go to the Hanged Man and talk to Varric. He will mention your romance with Isabela, just answer top right through everything. Afterward talk to him again. Top right again. Leave and go to Hightown at night now. With Varric in your party go to the estate south of the Chantry (marker) and enter. In this first scene you just control Varric, simply mash A and kill everything until you get a scene. Afterward, your target is the room in the middle with stairs. Note that when you enter you'll face an immense amount of enemies. Backing everyone up to one of the other rooms so you can get them to clog up at the doors will be very helpful here. After killing everything go toward the door at the top of the stairs for a scene. South of the room with the marker is a chest with an armor upgrade for Varric, make sure to get it, and then go in the door with the marker. The person you are after will disappear and enemies will come from behind. You need to find said person immediately and concentrate him. Once he dies the next scene occurs regardless of whether you've killed everything else, so focus on him. Note that when he disappears, he will reappear and stab somebody in the back doing a ton damage. When he does disappear, make sure everyone has plenty of health. Once he is dead answer top right in the first two dialog choices and then "Let him go" (bottom left) and then "He doesn't need to die" (top right). This will result in Sebastian getting maxed friendship, giving you an achievement if you have the DLC. Go to the Hanged Man and talk to Varric. After that we are done with Varric's, on to Merril's. Go to her house and talk to her. Top right all the way through. Then go to Sundermount. You'll be asked to pick your party, Merril is required. Even though Merril is a mage she doesn't have heal, so bring Anders along and Fenris. 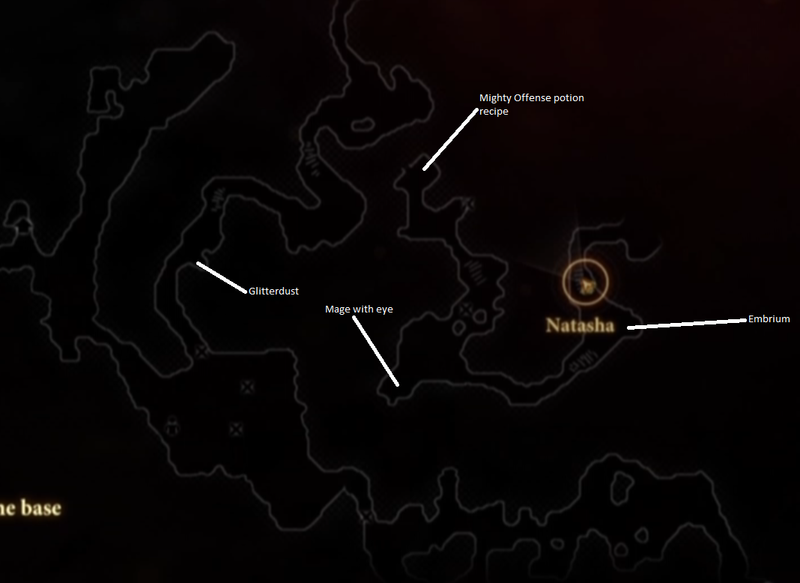 Go to the camp, there is a chest in the southern part with a Dalish ingredient we need for Herblists Tasks, take it, then talk to the keeper. Top right all the way through. The monster she mentions we have to slay is a boss monster with an achievement attached to it. Go down the left path (not up the mountain) and follow the path all the way to a cave and go inside the Vaterral Hunting Ground. Inside go north, you'll come across a body you can loot and some spiders will attack, make sure to loot the body for the stuff, it involves a quest. At the fork, go south instead of west and follow the path to the second body, loot it. Continue forward until you are attacked by spiders again. 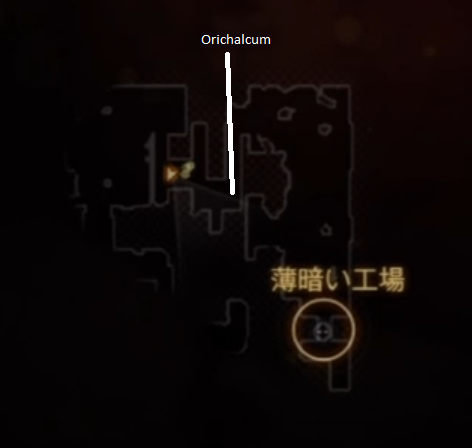 Instead of continuing after they are dead, look for some Orichalcum (3/6) near the ledge, to the left of the door. 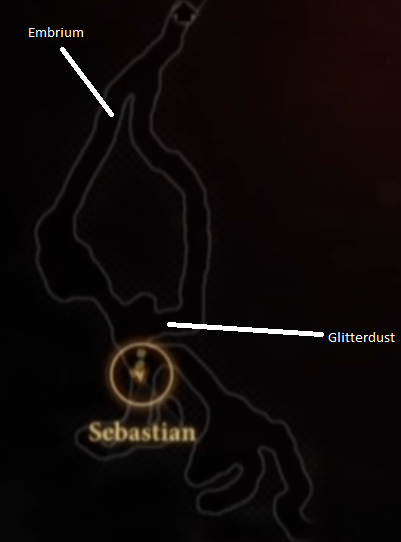 Go through the nearby door and you'll find some Glitterdust (4/6) on the left as you go ahead. Go down the next stairs and then on the right will be the third body. Continue ahead, pick the top right options in the dialog, and go to the marker. Boss time. He looks intimidating but it's not that bad. At the start rush it, you want him to concentrate on either you or Fenris. Try to stay on the opposite side of the Vaterral that Fenris is, so you don't both get hit by his attacks. Go to town on him until spiders appear. Stop attacking the Vaterral and concentrate on the spiders so they don't overrun Anders/Merril (while you do this, ensure Fenris is still attacking the Vaterral). As long as you concentrate on the small spiders and Fenris keeps the Vaterral busy, this is a pretty straight forward fight. There is one caveat, sometimes the Vaterral will jump away and then land on Anders or Merril. When this happens take manual control of them and move them away, then ensure Fenris has the Vaterral's attention again, and then switch to Hawke and keep attacking smaller spiders. It shouldn't take long for you to kill it and get an achievement. Go back as if you are heading toward the entrance, and then up the first set of stairs will be a Deep Mushroom (7/9). Now leave. On the way out will be two groups of undead. The second has an arcane horror, the rest is just rabble. BEFORE heading to the keeper, remove Fenris from your party. Now talk to the keeper. First answer "The keeper is right" (bottom right) and then "Fine, take it" (top right). While we are here let's get the rest of the ingredients, but first reassemble your party, Merril is no longer necessary. Go back to the Hunting Ground entrance and go into the alcove to the west to find some Elfroot (8/9). Now take the right path up the mountain, you'll come across some Glitterdust (5/6) on the way. Enter the Sundermount Passage. In the first room you'll fight some spiders; in the little dead end to the west is some Silverite (6/6). After the next spider fight you'll go into a room with some Orichalcum (4/6). It's in the little dead end to the north. You'll find another Orichalcum (5/6) up the stairs in the same room, in the back. Now exit the cave to the graveyard. Turn right and you'll find the Mighty Offense Potion recipe. Now continue forward and you'll find enemies. The mage should be killed first. Later on an arcane horror will spawn, make sure to kill it when it spawns. Afterward loot the mage for a fetch quest item. Continue up the mountain until you find the Embrium (5/6) on the right. You can continue up the mountain to the top to find a mature dragon. There is a body here that MIGHT have a knife related to a quest. Apparently the knife can also spawn on the way to the mountain or in a sack in the mountain or it might not appear at all. If you can't find it then don't worry about it. Go to Hightown and give sister Phylias the sixth finger. Go The Gallows and give Azure Jamos his eye, and talk to Solivitus to finish Herbalists Tasks. Go to the docks at night and enter the disused passage. Go to where you found the body in act 1 and get a Seal in the crate (if you don't remember, go east and then south and into the small room to the north and loot the crate). Go to where the deathroot was previously to find a hat(again if you don't remember, go straight north from the dead end passage and enter the second rectangular room to find a Waxler's Hat in the sack). The seal belongs to Bolund in Hightown, the hat goes to Waxler (surprise!) in the Hanged Man (he only showed up at night though). As an aside if you were able to get the ream-rot knife it goes Faj in Lowtown. Now go to the Viscounts Keep. Talk to Aveline. Top right all the way through. Talk to her again and agree to help. 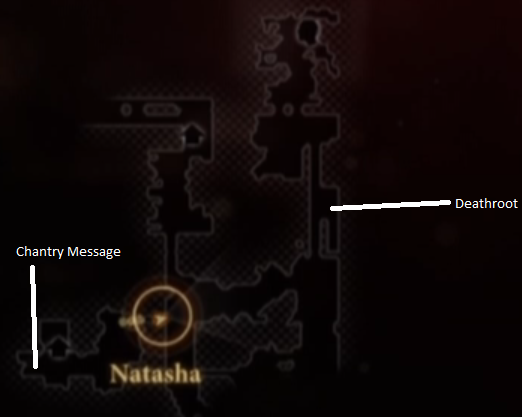 Go to Donnic nearby and talk to him, then return to Aveline and talk to her again, top right all the way. Now talk to Donnic one last time, then go to the Hanged Man at night. Talk to Donnic. In the scene after with Aveline, answer top right both times. Now go to the wounded Coast. The marker to the west is a signal fire. Go up to it, kill what spawns, light the fire. Do it for all three fires. After the third answer top right in the conversation and then go to Viscount Keep. Continue talking to Aveline as long as she has a marker over her head and answer top right (should be four times, but it might only be 3). That's about it for companion quests, and if you are following the guide you should have all the secondary and fetch quests done too. One last thing before we move on, and that's gangs. 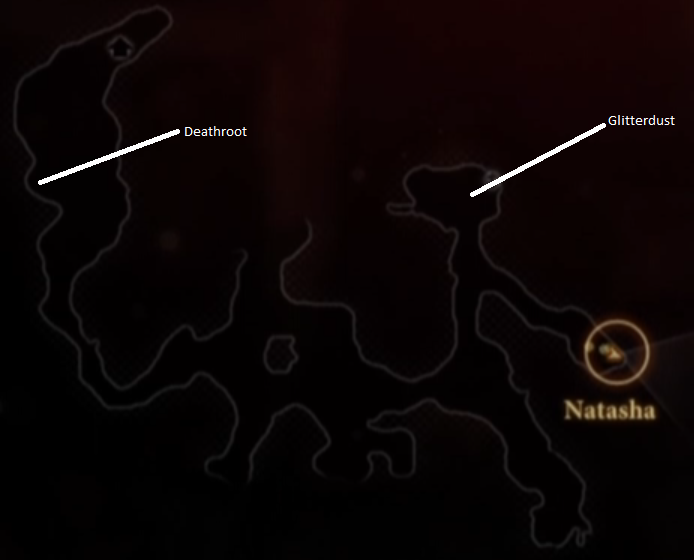 You'll remember from act 1 that each area of Kirkwall had a gang. Run through each area at night killing things until you get a note, then go to the hideout and wipe out everything in the building. Alright, now to do Following the Qun. You have a side quest called "Night Terrors". It is the 4th of 7 decisions we can make between the Templar and mages, so we want to do it as late in act 2 as possible so we don't have to redo as much when we reload the save for the Mage Hunter achievement. Read the letter in your estate if you haven't then go talk to the viscount in Viscount Keep. Now go to the docks. You'll be ambushed by thugs, kill them all and then leave. Talk to Arishok and answer top right all the way. Go to the chantry at night after putting Isabela back in your party. Know that after this scene, the History of the Chantry Chapter 3 (3/4) book will be on a pedestal to the left. You'll have a split second to pick it up before the battle starts and it becomes harder to pick up. If you fail to do so before fighting starts, go up next to it, put it in the middle of the screen, and then hold LT to bring up the quick wheel. Now let go and mash A, you should read it. Keep trying until you do. Once you have it kill everything and then answer top right through all the scenes. Go to your estate. Choose top right in the first choice. In the second, YOU MUST CHOOSE TO HELP ISABELA FIRST. Otherwise, she is gone from your party forever and you are screwed out of multiple achievements. Afterward form your party and go to Lowtown at night. Go to the marker and kill the enemies. In the conversation answer top right twice and then say "We'll get the relic for you" (bottom right). Now go into the foundry nearby. 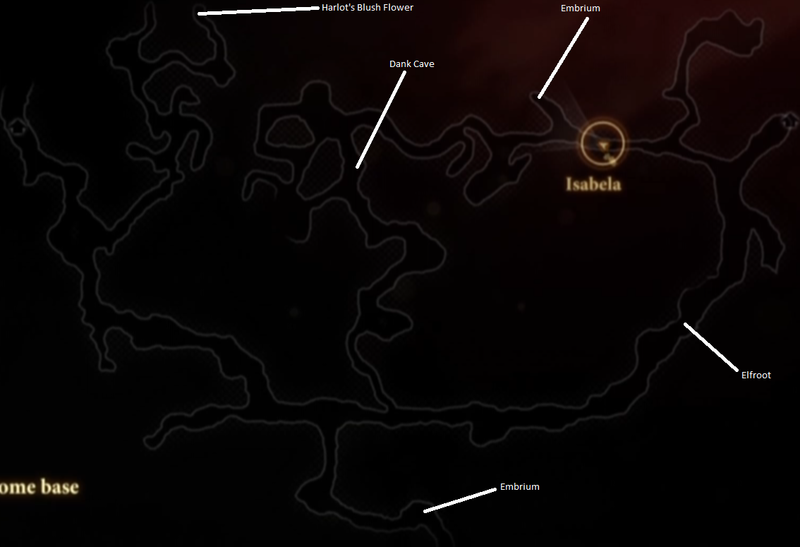 After the scene note Isabela is gone, you'll just have 3 party members. Kill everything. Once everything is dead go into the room in the northwest corner (not the one with the marker!) and check the crate on the right for the Lambswool upgrade for Isabela. You can now go to the marker to exit. Loot the body nearby to find a letter from Isabela. For now she is gone from the party, so replace her with someone else. Honestly none of the choices are too appealing, I took Merril along. Alright, time for Night Terrors. We've sided with the Templar twice and the mages once, so we are going down the mage path here. Make sure to save here so you can reload it after you finish your first playthrough to choose the templar side. Go to Lowtown and talk to Arianni. Answer top right through everything until you enter the fade. Go forward and you'll have a scene, choose "I don't work with demons" (top left). You'll have two markers, go to the west one and go in the door. Go to the marker, then answer top right all the way through. Kill everything and then go through the other door and go to the marker. Top right all the way through, then return to the center and talk to Fenyriel. Top right all the way through yet again. Now is the time to finally end act 2. Scroll up a bit and double check your ingredients for the supplier achievement. Make sure you have 3 chapters of the chantry history in the codex. You should have 5 potion recipes. Stock up on potions, as many as possible. If you want that cold blooded staff now is the time. The battles in this quest are harder than the typical. When you are ready, go to the Quanari compound in the docks and enter. At the Arishok conversation answer "I'll find it" (middle right). Then top right, followed by "We're not here to argue" (middle right) and then "Why not leave the city" (middle right). You'll gain a bit of rivalry with Aveline if you don't use her in your party at the party selection screen. It's up to you if you care (I didn't). From the start head north and then west toward the marker, on the way you'll kill some enemies and get a scene, just answer top right as usual. Then head to the marker. In the next area you'll fight some dudes, kill them all and do the usual during the conversation. Then continue forward until you come across a woman crying. On the right will be a body with the last potion recipe. You won't get the achievement but don't worry, it's for MAKING all the potions. We'll get this in Act 3. Go west to the next fight and afterward you'll get an achievement. Top right all through the conversation. Kill everything, then you'll be in the keep. Wipe out everything again. Answer top right and then you'll have to kill a few things. Then answer top right, followed by "You can't have her" (bottom right). IF YOU DO NOT REPLY WITH THIS ISABELA IS GONE PERMANENTLY. Now choose bottom right "I won't duel". You'll now be fighting the Arishok and a bunch of Qunari. Aim to kill all the Quanari first. The mage behind Arishok is the first target. Once you've wiped all of them out, dealing with the Arishok is fairly easy. Keep an eye on everyone's health and go to town on him. When he starts spinning, back off. It will do a lot of damage and tends to knock you away which makes it easy for him to keep hitting you with it. Other than that, just keeping stabbing him until he dies and keep an eye on everyone's health, without his guards he's a chump. Achievement will unlock. This is the end of act 2, on to act 3!